The opportunity to visit FiftyThree's TriBeCa office during AIGA NY's spring design studio tour series was nothing short of delightful. The FiftyThree team was warm and welcoming while leading eager AIGA NY Leading & Sustaining members on a tour of their space, cleverly designed to match the polished walnut of the original Pencil. The team charmed us with some history of how the Paper app came to be, some stories about their day to day practices, and fun facts (like how their name comes from an average person's arm reach of 53cm!) in their main work area before taking us across the hall to see the design cave where the team hashes out all their big ideas. We followed them through beautiful wooden slat hallways and were thrilled when we arrived at a sleek, modern entrance aptly labeled "CAVE" and marveled our way into the well-lit creative space. 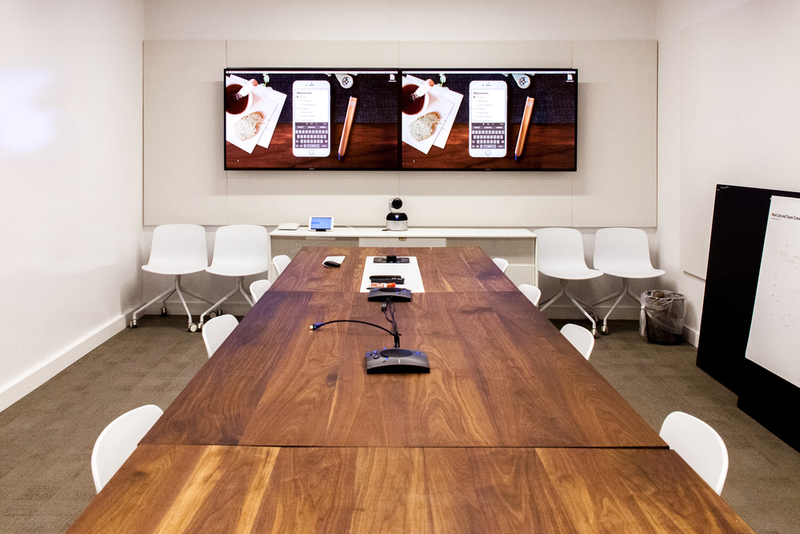 It was hard not to be inspired in this design cave, glowing with all-white decor that accented a statement conference table made of that iconic walnut and equipped with a fantastically oversized timer to keep efficiency. 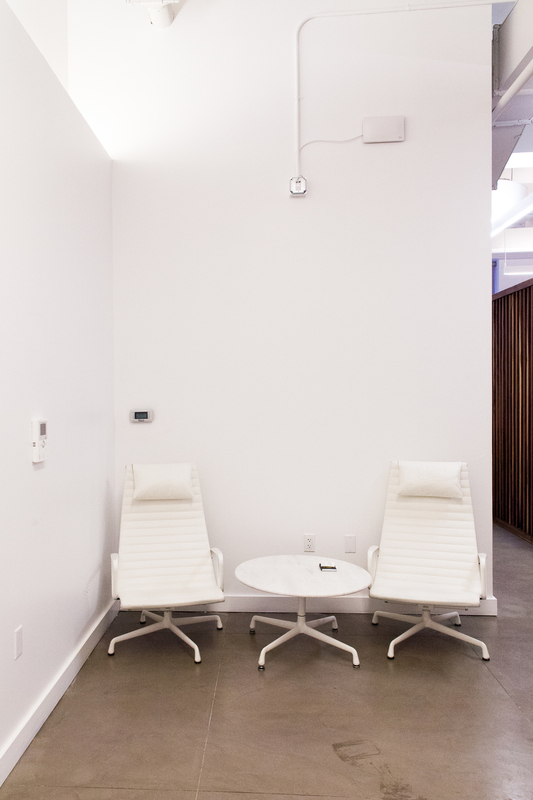 Not only is FiftyThree's NYC office (they also have a home in Seattle) a spacious, well-designed space where employees can feel comfortable at work, but it also doubles as a gallery featuring a smattering of different works designed with the app itself to keep inspiration in the atmosphere. 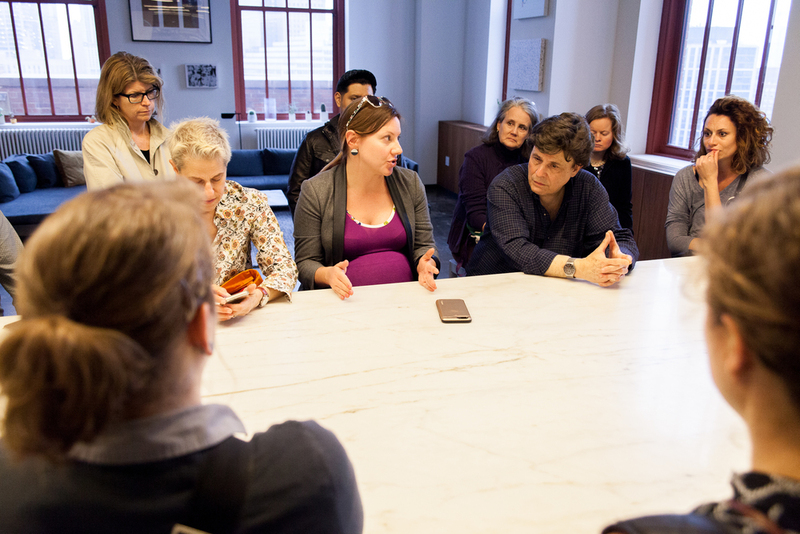 The tour was followed by casual-chit chat in the natural-light filled common area where FiftyThree also surprised the AIGA NY chapter members with gifts of their very own Pencils! If you're wishing you could be in this glorious space right now like I am, join me to relive the experience through photos from the tour below.